I love layering and making arm candies. Recently, I picked up some infinity charms from the craft store. The charms are gold with clear crystals. I was tempted to do some braided bracelet design or chain layering. 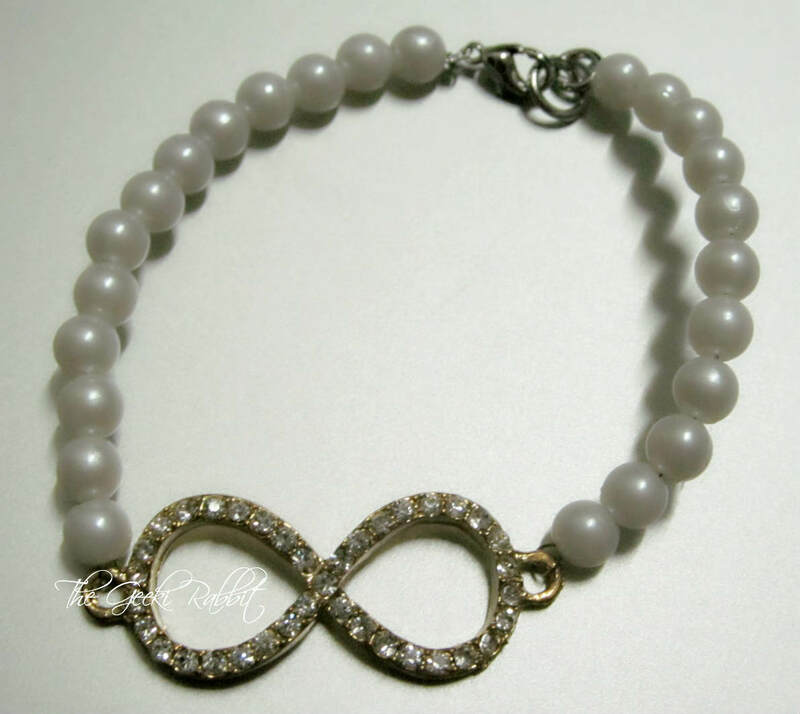 While I rummaged through my craft supplies, I found a strand of off-white pearls and decided to do this combination of an infinity bracelet! I'm very pleased with how it turned out. I love how the pearls and crystal offer a contrast. It's edgy yet gentle, and I think the color of the pearls go pretty well with the gold charm. I used a lobster clasp closure for the bracelet. The bracelet is simple and versatile, and is quite easy to match with other arm candies. 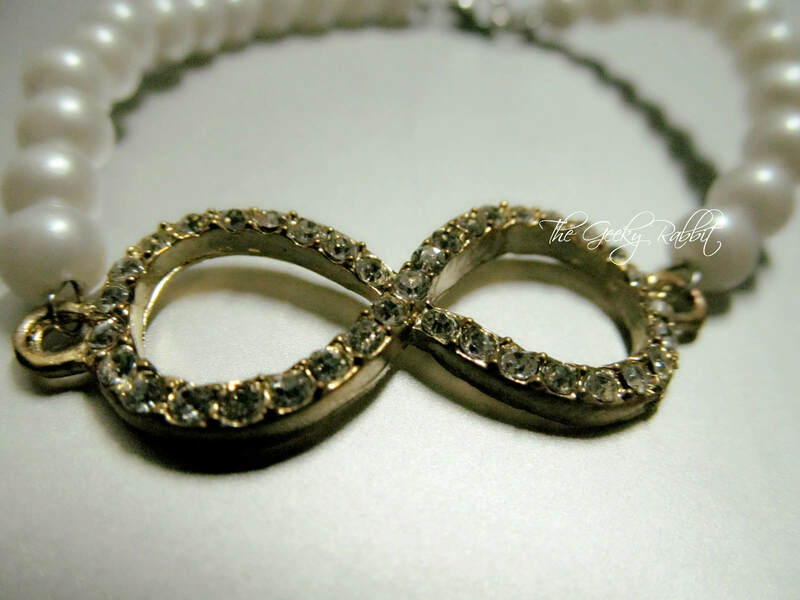 I noticed that the infinity charm/symbol has been gaining popularity. Probably because of the series Revenge? Nonetheless the infinity symbol has a special meaning to me, both literally (often used in my work) and also figuratively. I've got quite a few infinity rings too- those are for my finger-party (a.k.a stacking lots of rings). It's been some time since I've made arm candies, and I'm finally getting back my inspiration and have a couple of other ideas coming up!